Strawberries are delicious and with Mascarpone cream it gets even better. 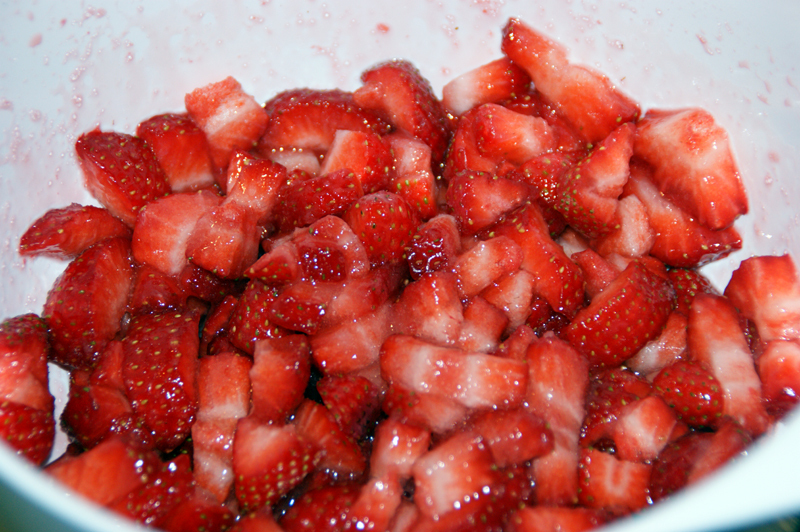 Cut the strawberries into small pieces, add a little sugar and mix it together and put them in the refrigerator. Then, you whisk together egg whites and sugar into a fluffy meringue. 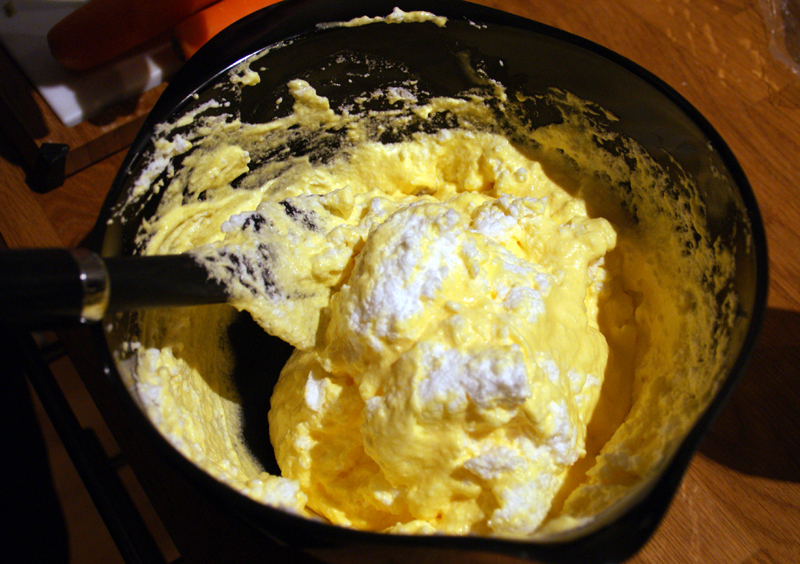 Mix the mascarpone and egg yolks, before you gently blend it with the meringue. 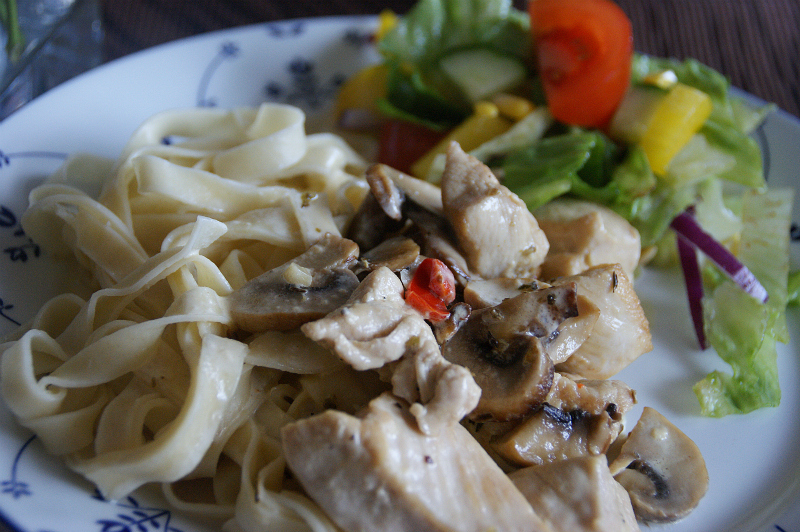 Once you have mixed it together, add a dash of cognac. Then put the mixture in the refrigerator. 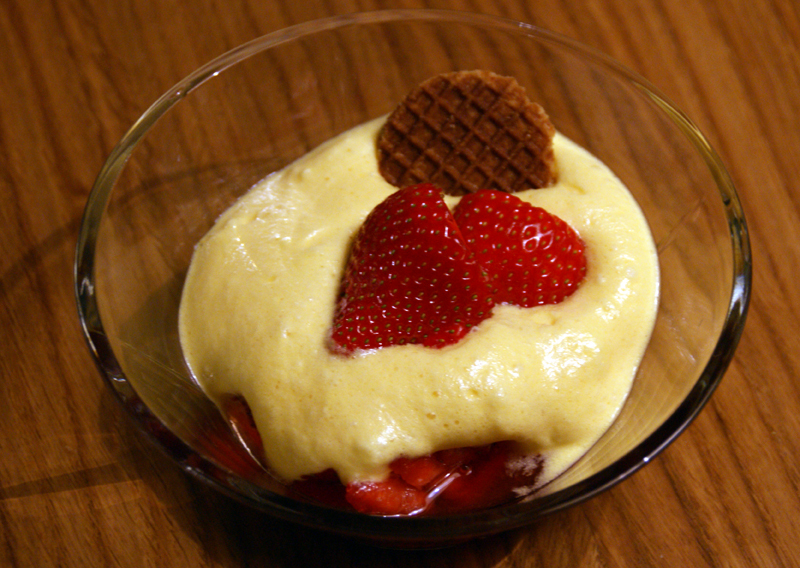 Put the strawberries into small bowls, then add the mascarpone cream. 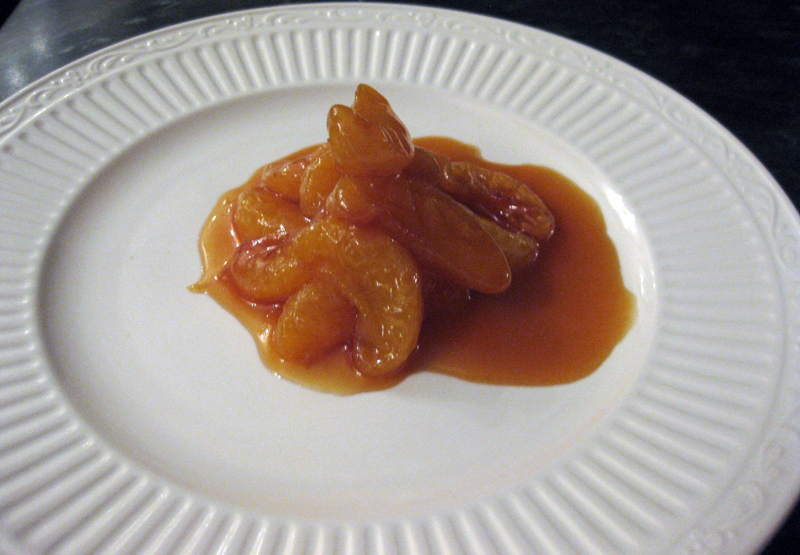 YourSuperchef garnish with a strawberry and stroopwafel.